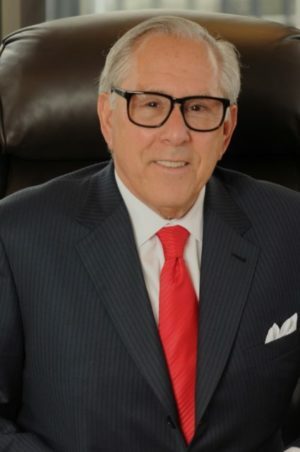 GARY I. COHEN HAS BEEN PRACTICING LAW IN CONNECTICUT for more than 40 years. For most of that time, he has devoted his practice to family and matrimonial law. He is a graduate of Yale University, where he earned a B.A. degree. He received a Juris Doctor from the School of Law at the University of Virginia, where he served as Articles Editor of the Virginia Law Review and was elected to the Order of the Coif Legal Honorary Society. Cohen has served as president of both the Connecticut Trial Lawyers Association and the Connecticut chapter of the American Academy of Matrimonial Lawyers. He is a Charter Fellow of the International Academy of Matrimonial Lawyers. Throughout a span of many years, Cohen has been listed in various publications, including Town & Country Magazine’s “The Best Lawyers in the U.S.,” Connecticut Super Lawyers®** from 2006 through 2015, New York Magazine’s “The New York Area’s Best Lawyers” and The Best Lawyers® in America*** since 1987. He holds the highest rating in legal ability and ethical standards according to Martindale–Hubbell®’s peer review ratings, and he is one of only 100 diplomates of the American College of Family Trial Lawyers. His primary area of practice is Family Law. Our firm has received the AV rating* from Martindale-Hubbell® and includes a lawyer who has been recognized as a Super Lawyer®. ** We invite you to read more about our attorneys by visiting their profiles, or contact our firm directly to schedule your consultation. * CV, BV and AV are registered certification marks of Reed Elsevier Properties, Inc., used in accordance with the Martindale-Hubbell® certification procedures, standards, and policies. Martindale-Hubbell® is the facilitator of a peer review rating process. Martindale-Hubbell® Ratings reflect the confidential opinions of members of the Bar and the Judiciary. Martindale-Hubbell® Ratings fall into two categories – legal ability and general ethical standards. ** Connecticut Super Lawyers® is based on a survey mailed to all active, resident Connecticut attorneys licensed for five years or more. *** Inclusion in Best Lawyers® is based entirely on the consensus opinion of leading lawyers about the professional abilities of their colleagues within the same geographical area and legal practice area.